17, 1880. The construction train of the Valley road first passed over the Uniontown public Road at Myersville Station August 4, 1879, at 10:15 A. M. "
"We now arrive at Greentown. The depot is on the left, and the village is three-fourths of a mile to the right, and Greensburg is two and a half miles to the left. About five hundred feet north of the depot we cross the great water-shed of the State, (see page 20). In the beautiful grove to the right, (see engraving) the water can be seen to divide, part going to the Ohio River and part to Lake Erie. The elevation here is about 555 feet above Lake Erie. We now pass over the Greentown Plain, which is two miles of straight track over the bottom lands and marshes. The streams that appear between here and Krumroy feed the Tuscarawaas River. Three and a half miles north of Greentown we arrive at Uniontown. As we come to the depot, we pass a saw mill on the left. Great numbers of ties for the road have been sawed here. The village is one mile to the right. The small settlement on the left of the depot is called Myersville, which has been settled since the railroad has been built. As we leave the depot we pass a grain warehouse on our left. 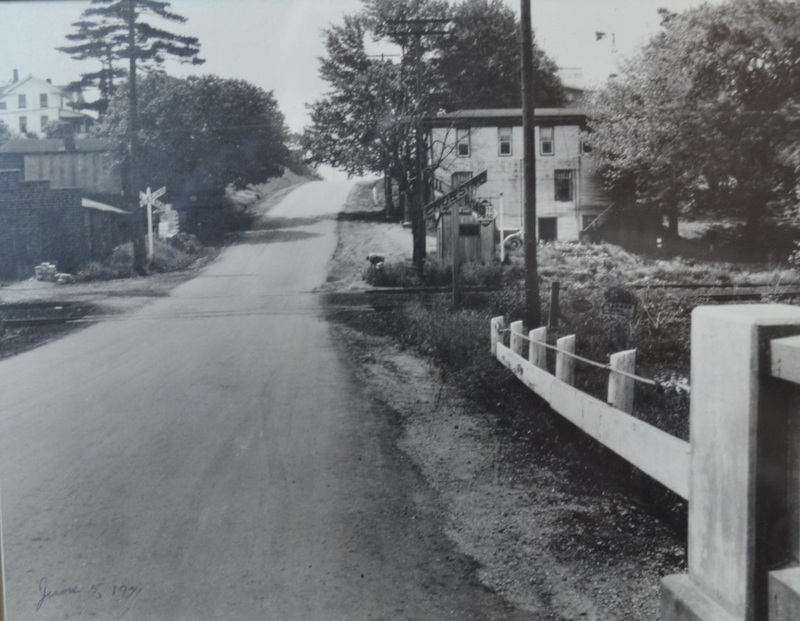 Grain from the surrounding country is brought here and shipped over the Valley Road to the Akron mills. 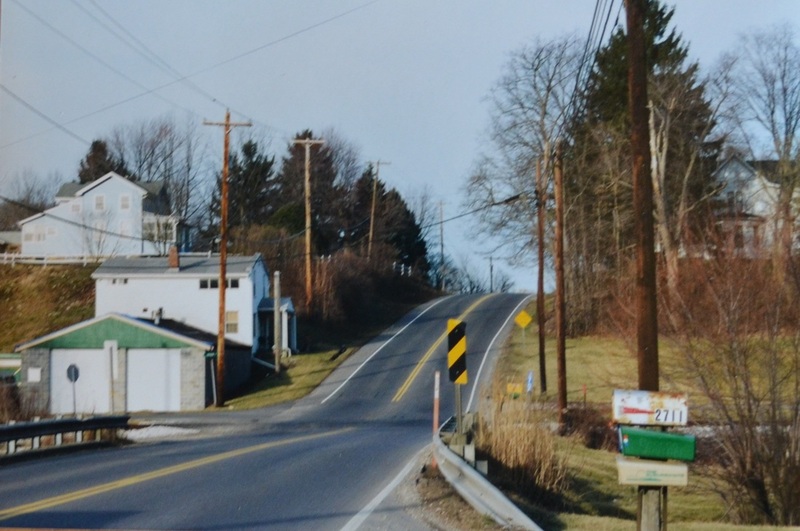 One mile north of Uniontown, we pass through the Millheim mill pond, the mill being situated some distance to the right and can be seen in the distance when we get a little further on."